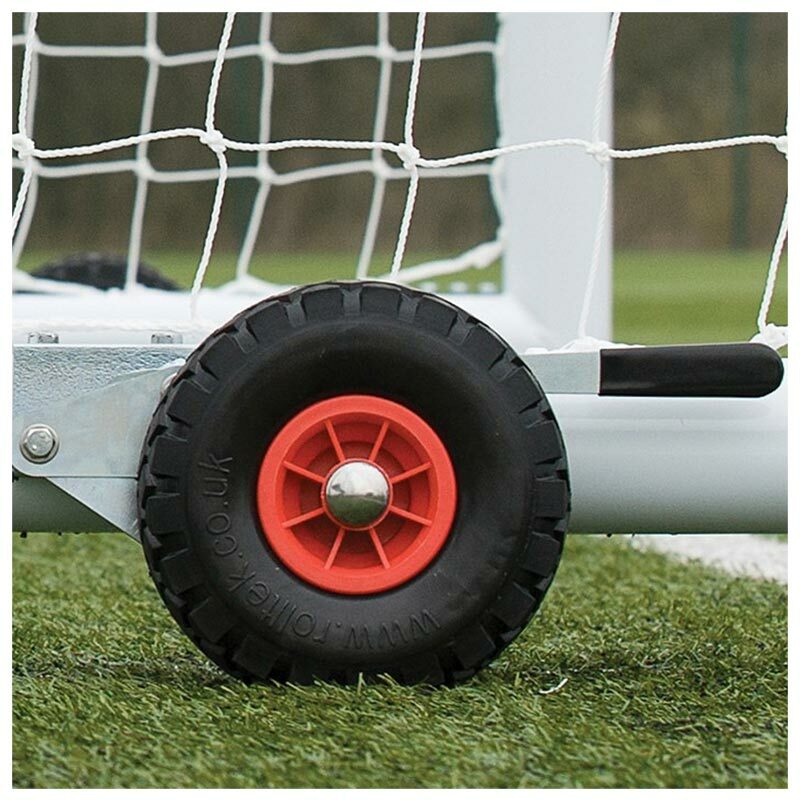 The Harrod Sport ® 9 v 9 3G Aluminium Portagoals 16ft x 7ft are part of the new range of goal introduced by Harrod Sport for 9-a-side training and competitions. A new game of 9 v 9 has been introduced by the football association. The principles and the rules are similar to those of normal association football, except that the pitches and goals are smaller with fewer players on each team. 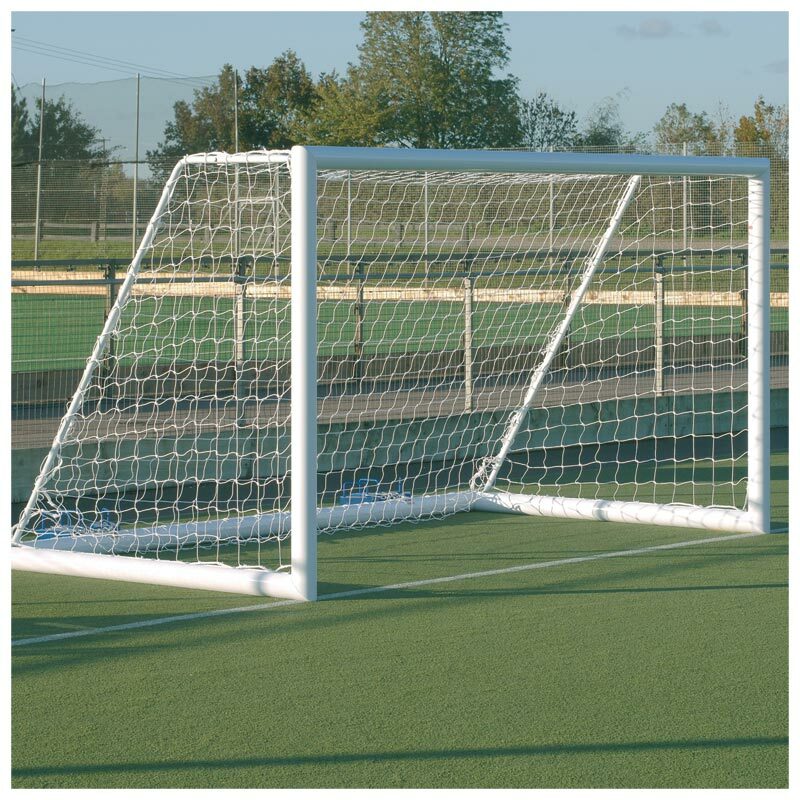 2 x Freestanding Aluminium Goal Posts 16ft x 7ft. 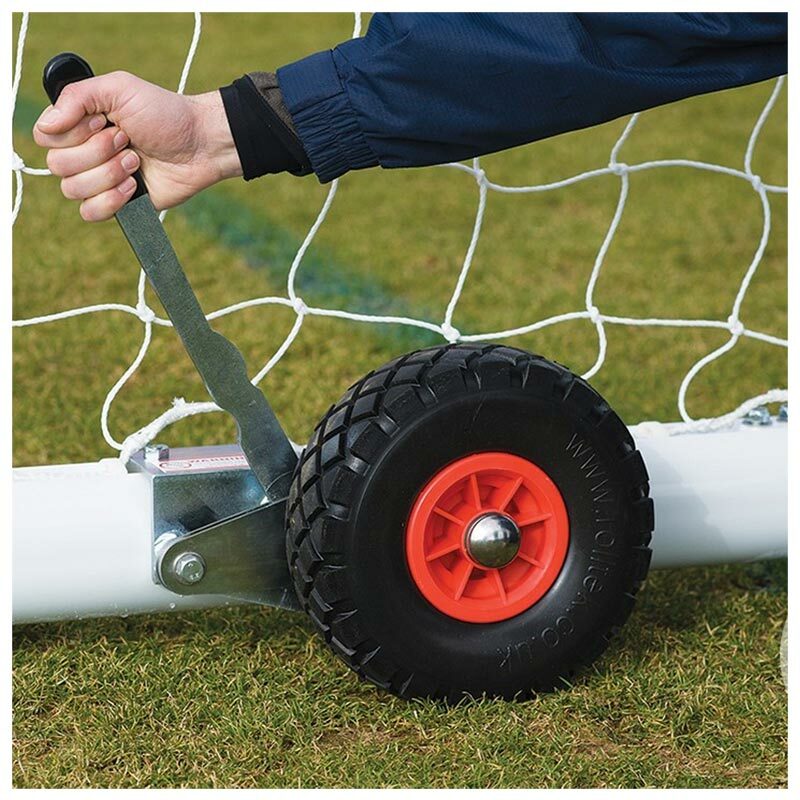 1 x Freestanding Aluminium Goal Post 16ft x 7ft. Uprights and crossbars manufactured from 102mm x 112mm x 2.2mm thick reinforced aluminium. Zinc plated steel fixing plate incorporating corner net retaining clamp. Complete with 'U' peg grass anchors. For anchoring on synthetic surfaces 6 x counterbalance weights are required per goal (not included). Please search on our website for Harrod UK Counterbalance Weight Anchor. 4.88m x 2.13m (16' x 7') - 146kg per pair, 73kg per single.